You’ve spent countless hours figuring out your retirement finances. But what will you do with your time once you leave the workforce? Here are some ideas for making the most of your leisure time. When we think about retirement, most of us probably fantasize about indulging in all the pleasures we don’t have time for right now. For some, the dream would include long trips exploring the globe and experiencing new cultures with our women friends. For others, simple days spent at home with a stack of books or tending to a garden make the list. If retirement is around the corner for you, congratulations! But wherever you are on the road to retirement, it’s never too early to start planning for your financial security. Experts estimate that you will need a minimum of 70 percent of your pre-retirement income to maintain your standard of living when you stop working. And for many women, who may have taken time from their careers to raise children or care for aging parents, there may be less to collect in Social Security; so savings are crucial. There are many resources available to help you plan your financial future, but the primary key to a secure retirement is to save, save, save and then stick to a budget. Believe it or not, many women find retirement isn’t all they dreamed it would be. Some women retirees miss the structure of their work days. Others have discovered that their careers gave them a feeling of purpose that’s absent in retirement. And still others miss the social connections made while working. But you can build all of these elements—structure, purpose and social connections—into your retirement with less effort than you might imagine. The best part about building structure into your days as a new retiree? You are in charge! You never again have to go to that 5:45am spin class just so you can make it to work on time. Unless you really, really enjoy burning calories at the crack of dawn, that is. An exercise routine can certainly lend shape to your days and weeks, as can a regular schedule of other activities. The university in my town lets senior citizens audit classes for free. Two women friends of mine are taking advantage of this opportunity to learn Spanish before a service trip with their church to Nicaragua next summer. Of course, there are many ways to enjoy your interests both old and new while adding a framework to your days. You can invite your retired women friends to form a weekly movie club, lunch bunch or game night. Perhaps now there is enough free time within your circle of retired friends to share each other’s talents; whether that’s scrapbooking, making jewelry, baking bread, or building furniture. Picking up a new handicraft can be as good for your friendships as for your health, research shows. Joining a local hobby group for knitters, photographers, painters and more will give a structure to your interests as well as a potential new circle of friends. Many retirees find themselves surprised to discover just how much their work life provided meaning in their lives, as well as a reason to head out the door every day. If you have recently left your career behind, you may find new purpose in offering your professional skills back to your community as a teacher, a tutor, a mentor or a volunteer. Volunteering somewhere in your community is a wonderful way to fill some of your free time in a meaningful way. And the possibilities are endless: you could help stock shelves at a food bank, join a group beautifying a park, walk dogs for your local Humane Society, help out at a nearby school, or visit with elderly residents of a nursing home. One afternoon a week, I volunteer at my daughter’s high school in the College and Career Center. You would never guess that our Center’s director—who is enthusiastic beyond measure, kind and patient with teenagers, and present 5 days a week—is herself a volunteer (albeit a very, very dedicated one). When she retired from a career as a high school counselor, Carol found that she missed helping teens plan for their first steps on the road to college and beyond. “It’s just such rewarding work,” she explains. I know that she will retire anew when her husband finally says goodbye to his career. But meantime, she is guiding students through the labyrinth of applying to colleges and cheerfully imparting her vast knowledge of the process to her stable of parent volunteers. My gift from this volunteering gig is not only learning how to help kids (including my own) in this transition, but also getting to know 3 new women friends who work the same shift. I am gaining so much more than I ever expected from this experience. Any of your new activities—from mentoring or tutoring to taking a class or joining a hobby group—will certainly increase your social connections and your chances of making new friends. 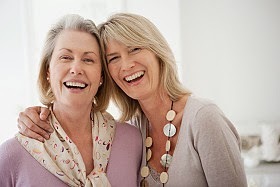 Another way to increase your social connection is to focus on making friends with other retirees. Many communities have a senior center that plans activities such as dances or teas or field trips to galleries and museums. You might be fortunate enough to have a meetup group for those over 50 in your area. Wherever you live, an association such as AARP will likely have a chapter nearby. If you are thinking about downsizing your home in the near future, don’t overlook the possibility of moving to a retirement community. Most organize a variety of activities for seniors. There are many senior-only travel and learning organizations. One of the best-known is Road Scholar, a not-for-profit organization which offers senior citizens travel and educational programs in the United States and around the world. And of course, don’t forget to check out SocialJane.com—where you may find new friends waiting. Really, this article is very essential for me as well. I must follow the discussion which is very essential for me and i can say that 3 Key Elements of a Successful Retirement Plan is very useful to me as well.